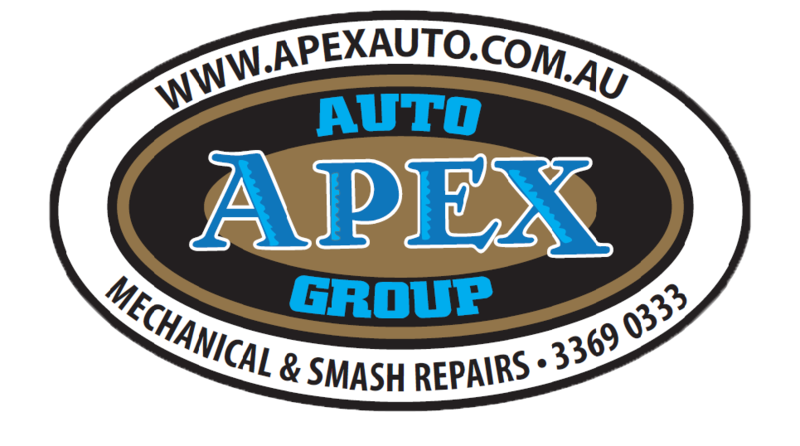 The Terms and Conditions listed below apply to any usage of the website www.apexauto.com.au and services offered by Apex Auto Group. Your access to and use of this website (www.apexauto.com.au) is subject to these Terms and Conditions (T&Cs). You agree not to use this website for any purpose that is unlawful or prohibited by these T&Cs. By using this website you are accepting the Terms, Conditions and Disclaimers contained herein. If you do not accept, you must discontinue use of this website immediately. 2.1: Change or remove (temporarily or permanently) the website or any part of it without notice and you accept that Apex Auto Group shall not be liable to you for any such changes. 2.2: Apex Auto Group my change these T&Cs at any time and your continued use of this website is deemed to signify your acceptance of any changes. The content of this website is designed to provide general information about the operations and capabilities of Apex Auto Group, but does not constitute advice and should not be relied upon in making or refraining from making any decision. 5.1: We do not monitor or review the content or availability of third party websites which we provide links to. The opinions expressed or the material appearing on such websites is not necessarily shared or endorsed by Apex Auto Group and therefore, Apex Auto Group should not be regarded as the publisher of such opinions or material and shall not be held liable. 5.2: Please be aware that Apex Auto Group are not responsible for the privacy practices, or content of these websites. We encourage users to be aware when they leave our site and to read the privacy statements of third party sites. You should evaluate the security and trustworthiness of any other sites that are accessed before disclosing personal information to them. Apex Auto Group will not accept any responsibility for any loss or damage in whatever manner, howsoever caused, resulting from your disclosure to third parties of personal information. Unless otherwise stated, the services featured on this website are only available within Australia, or in relation to postings from Australia. All advertising is intended solely for the Australian market. You are solely responsible for evaluating the fitness for a particular purpose of any downloads, programs and text available through this site. Redistribution or republication of any part of this site or its content is prohibited, including such by framing or other similar or any other means, without the express written consent of Apex Auto Group. You agree to indemnify and hold Apex Auto Group and its employees and agents harmless from and against all liabilities, legal fees, damages, losses, costs and other expenses in relation to any claims or actions brought against Apex Auto Group arising out of any breach by you of these Terms and Conditions or other liabilities arising out of your use of this website. If any of these T&Cs should be determined to be invalid, illegal or unenforceable for any reason by any court of competent jurisdiction then such T&Cs shall be severed and the remaining T&Cs shall survive and remain in full force and effect and continue to be binding and enforceable. 10.1 The website is provided on an “AS IS” and “AS AVAILABLE” basis without any representation or endorsement made and without warranty of any kind whether express or implied, including but not limited to the implied warranties of satisfactory quality, fitness for a particular purpose, non-infringement, compatibility, security and accuracy. 10.2 To the extent permitted by law, Apex Auto Group will not be liable for any direct, indirect or consequential loss or damage whatever (including without limitation loss of business, opportunity, data or profits) arising out of or in connection with the use of the website. 10.3 Apex Auto Group makes no warranty that the functionality of the website will be uninterrupted or error free, that defects will be corrected or that the website or the server that makes it available are free of viruses or anything else which may be harmful or destructive. 10.4 Apex Auto Group accepts no responsibility for valuables or child safety seats left in the vehicle during the repair process. 10.5 Apex Auto Group accepts no responsibility for Shock Absorber Lock up which can happen as a result of older vehicles being put on a hoist. 10.6 Apex Auto Group accepts no responsibility for aged batteries which can fail when vehicles have sat for an extended time during the repair process. Apex Auto Group shall not be liable for any failure or delay in supply or delivery of products/services where such failure or delay is wholly or partly due to any cause or circumstances whatsoever outside the reasonable control of Apex Auto Group including but not limited to war, strikes, lockouts, industrial disputes or unrest, government restrictions or transport delays, fire, power outages, failure attributable to third party suppliers, breakdown of plant, theft, vandalism, riots, civil commotions, accidents of any kind or act of terrorism. Any Party affected by such event shall forthwith inform the other Party of the same and shall use all reasonable endeavours to comply with the terms and conditions of any Agreement contained herein. These T&Cs shall be governed by and construed in accordance with the law of Australia and you hereby submit to the exclusive jurisdiction of the Australian Courts.